No parents want their children to end up in legal trouble, but it happens all the time. A criminal conviction can follow a child for the rest of his or her life, hindering their opportunities for a bright and fulfilling future. Regardless of the reasons the child acted out, a law was broken and the child could be facing serious legal consequences. If your child is facing serious criminal conviction, there are options available to give them the best chance of recovery and a bright future. Speak with our Los Angeles County juvenile defense lawyer for more information today. Unlike the goals and procedures that seek to punish adult offenders in California, the justice system’s goal for young offenders is treatment and rehabilitation. 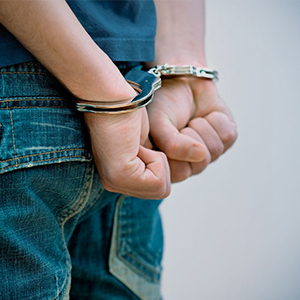 When a juvenile offender is arrested, the arresting officer has the option of taking the child into custody or releasing them to their guardians. If the child is released, the courts will most likely follow up with the guardians regarding a probation hearing. If arrested and taken before a judge, it’s probable, but not guaranteed, that a juvenile offender will be released due to the overcrowding of most California juvenile facilities. Even if released, the child may be facing probation and other legal recourse that could be branded on a permanent record, so it’s still important to have a knowledgeable juvenile defense lawyer represent your child’s case, no matter how minor or nonviolent the crime. First, call a competent Los Angeles County juvenile defense attorney to represent your child and help you prepare for the legal processes that lie ahead. The state of California holds parents partially responsible for the actions of their children, meaning you will be responsible for your child’s legal fees, restitution to a victim if necessary, and are required to be present at any hearings regarding your child. Depending on the severity of the crime, your child could be committed to a probation camp, the Division of Juvenile Justice or placed in a group home. If this happens, it’s important you maintain communication with your child. When your child is accused of a crime, you need skilled legal representation to provide them the best chance of rehabilitation following an arrest. Call an experienced Torrance, Long Beach, and Los Angeles County juvenile defense attorney at the Law Offices of Brian A. Newman at (424) 275-4014 to schedule your free consultation. Together we can work to preserve your child’s bright future.